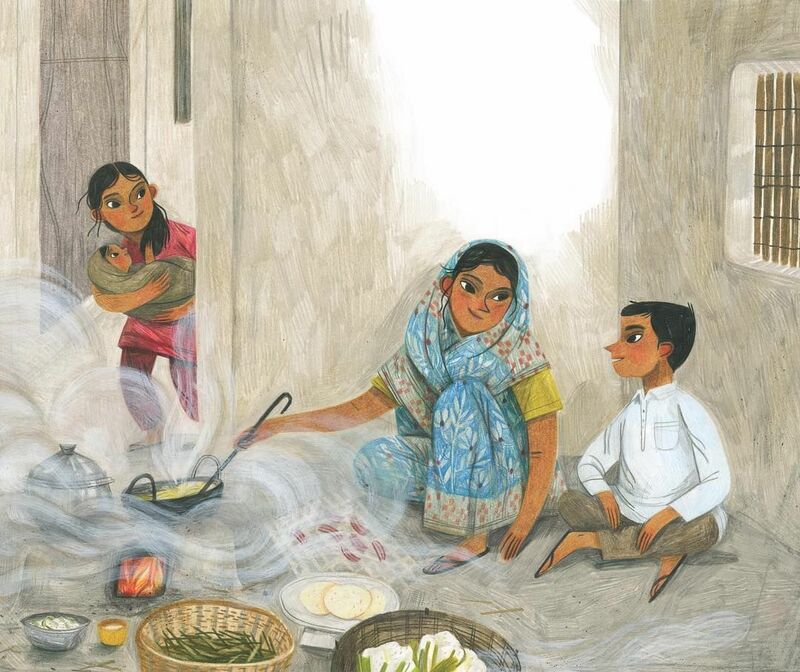 Summary: When Iqbal hears about the science fair at his school in Bangladesh, he is determined to win, and his sister Sadia is determined to help him. His mother and baby brother are having health issues that result from cooking on a smoky indoor fire. His father has seen a propane stove that would help them, but can’t afford to buy it. When Iqbal searches “smokeless cooking” on the school computer, he learns about solar cookers. He and Sadia create one using foil and an old umbrella, and have their first success cooking an egg. 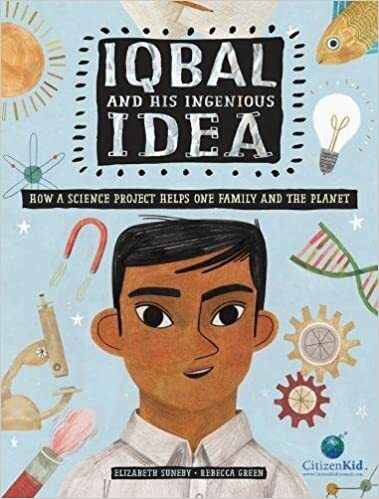 Iqbal goes on to win the science fair, and uses the money to buy a propane stove so his family can cook without smoke in any kind of weather. Includes information about clean cookstoves, a glossary, and instructions for building a solar cooker. 32 pages; grades 2-5. Pros: As I’ve said before (more than once!) I’m a big fan of the Citizen Kid series, introducing children from around the world. Readers will learn a lot about Iqbal’s life as he celebrates Ramadan, endures the monsoon season, and figures out a way to help his family. Cons: Does finding an science fair project online qualify Iqbal’s idea as “ingenious”?